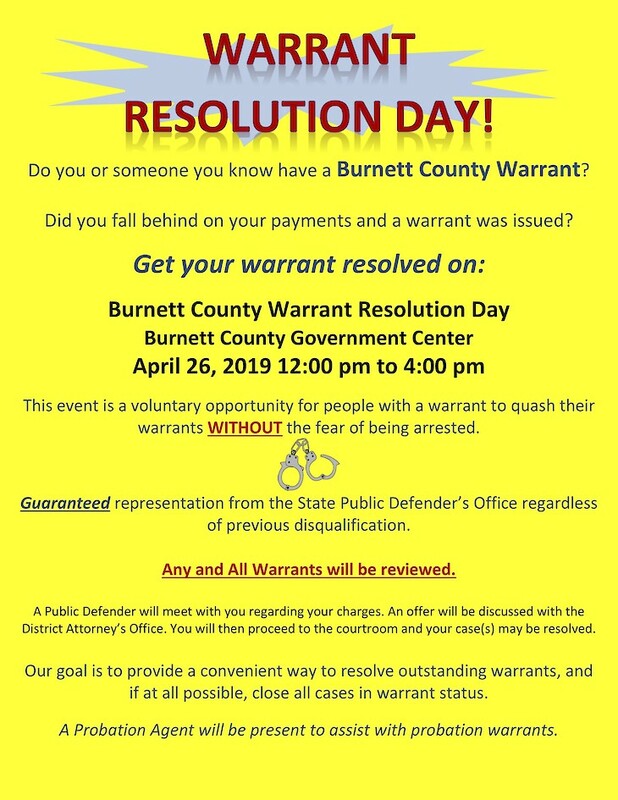 BURNETT COUNTY -- Do you or someone you know have a Burnett County Warrant? 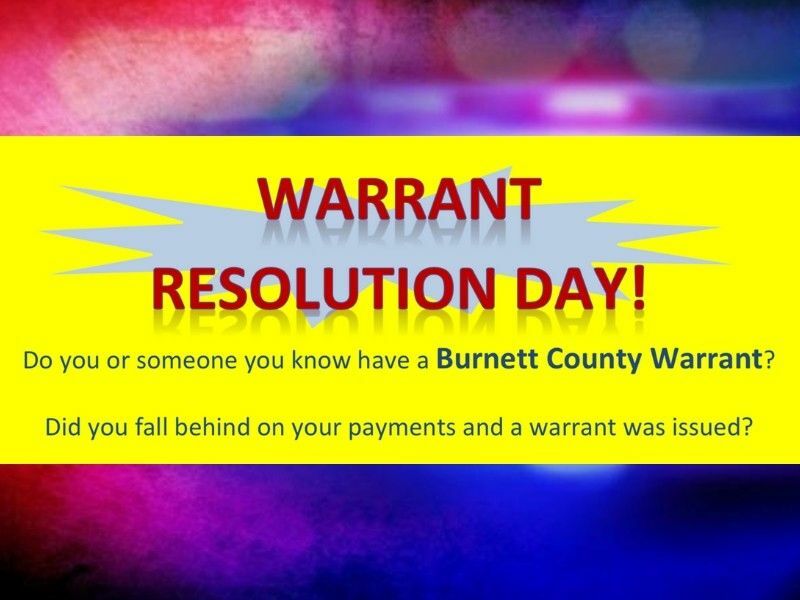 Did you fall behind on your payments and a warrant was issued? April 26, 2019 12:00 pm to 4:00 pm. This event is a voluntary opportunity for people with a warrant to quash their warrants WITHOUT the fear of being arrested. Guaranteed representation from the State Public Defender’s Office regardless of previous disqualification. Any and All Warrants will be reviewed. A Public Defender will meet with you regarding your charges. An offer will be discussed with the District Attorney’s Office. You will then proceed to the courtroom and your case(s) may be resolved. Our goal is to provide a convenient way to resolve outstanding warrants, and if at all possible, close all cases in warrant status. A Probation Agent will be present to assist with probation warrants.